Nathan Fillion Cameo In ‘Guardians of the Galaxy 2’ Is WONDERful!!! 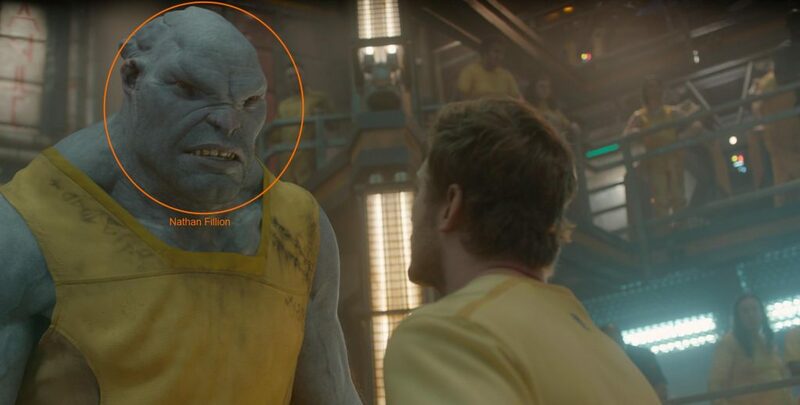 Fillion had an uncredited guest appearance in the first GOTG flick as the blue inmate that roughs up Peter Quill on the Kyln. This time when we see him in the sequel we’ll be able to pick him out a little more. Someone snapped some set pictures and posted them earlier revealing an Earth-based street theater featuring movie posters on the wall showing Fillion’s character in different movie roles. So we know Fillion is playing an actor, but we got to see the name of that character and it’s Simon Williams. Fans of the GOTG comic will know this name and his super-alter ego, Wonder Man. If you follow his story, Wonder Man joined the Avengers after a storied criminal past and has superhuman strength, speed, and durability. After his heroics, he retired to become an actor. I have no idea if there is more to his appearance in the flick other than another slight cameo, but God I hope this turns into a bigger part that can travel the Marvel Universe and appear in some movies! This entry was posted on Monday, April 25th, 2016 at 3:53 pm	and is filed under Comics, Film, News. You can follow any responses to this entry through the RSS 2.0 feed. You can skip to the end and leave a response. Pinging is currently not allowed. « NBC Is Producing ‘Hairspray Live!’ For A December Show With HUGE Stars Attached!!! What happened with your wife last night? I wasn't with my wife, I was with my girlfriend. What, are you gonna start moralizing on me? No, I'm not, I'm just trying to understand, why do you have a girlfriend? I do things with her I can't do with my wife. Why can't you do them with your wife? Hey, that's the mouth she kisses my kids goodnight with! What are you, crazy?